We are looking for a Business & Data Analyst reporting to the Head of Sales Operations. This role will work closely with Sales and Marketing functions, Finance and Customer Success organization. It is a unique opportunity to join a booming Software Business environment in a role that will directly impact business agility and success. Data Audit, Stewardship & Governance. Understand Nexthink’s end to end systems and processes, Identify Data reliability breach sources, and Propose fixes of Master Data Elements and transactional flows at stake. Plays as the data integrity guardian. Project Member. Drive all relevant Cross functional initiatives for new process, new system introduction as well as projects aiming at connecting Enterprise systems. Analytical curiosity - Enjoy playing “Helicopter” Analytics and deep dive into core data source. Business Savy – Understand Business processes, challenges and requirements. Passion for Business support, and extra mile mindset will be key differentiator in candidate selection. Sense of ownership, Result driven. Problem solving & Prioritization skills. Team player - Interpersonal communication skills. Multi tasks in fast paced environment. Bachelor’s Degree in business systems, computer science, information technology, or related field. Minimum 5 years’ experience in similar role. Software industry experience a plus. Fluent English a must, Fluent French a plus. Strong command on Microsoft Office a must. 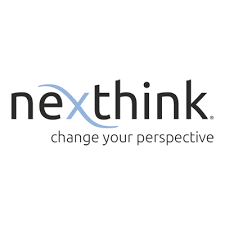 Nexthink S.A. specializes in end-user experience management from the endpoint. The company offers a real-time analytics platform to turn endpoint analytics and end-user feedback into actionable intelligence for improving the business productivity; an incident and problem management solution; a change management solution; and integration options. The company was founded in 2004 and is headquartered in Prilly, Switzerland with operations in the United States, Europe, the Middle East, and the Asia Pacific.